The Yogibo! A Back to School Must Have and I’m Giving One Away! Question, who could watch this video and NOT want a Yogibo? Another quick note: I never claimed to be a catalog model. These pictures prove that! I was lucky enough to try out one of the Yogibo products! 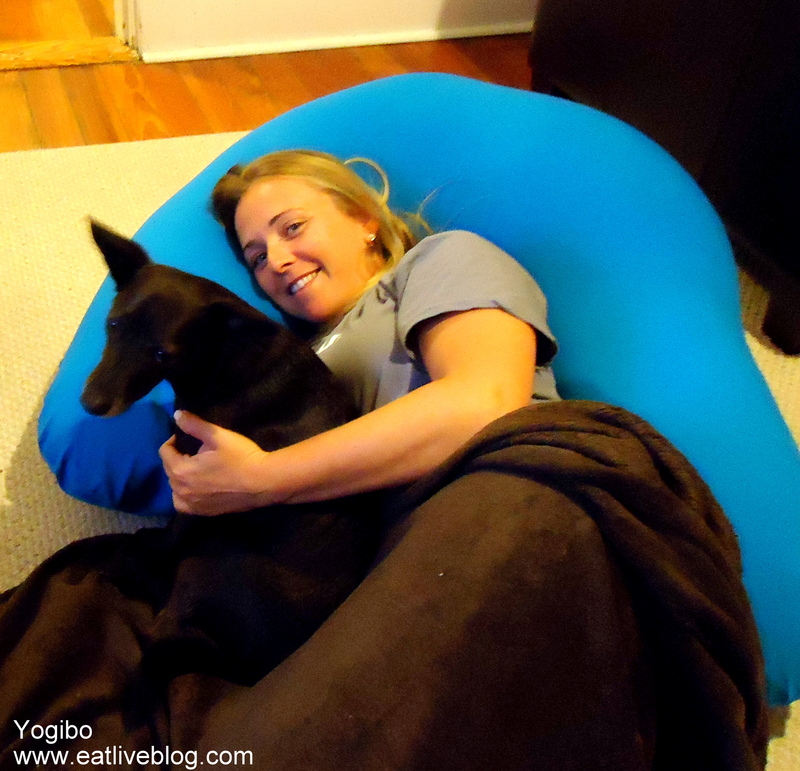 Now, it wasn’t the giant jungle gym-like bean bag you saw in the video, but it is this cool Yogi Support! This thing is SUPER comfortable. Seriously, you could lie down about anywhere with this and you would be comfortable. This makes it pretty perfect for dorm rooms and tight college apartments. Not only is it great for lounging, but you can use it as a desk, a tv tray, or a craft table. The Yogi Support is very well made. You can remove the outside cover to wash it (which is good if you are using it as a TV tray), and you can even unzip the main pillow to add or remove the beads! A completely un-tested (AHEM!) point, you may want to think twice about unzipping that zipper, those little beads run fast! There are lots of creative ways to use the Yogibo! Leave a comment below telling me what you think the most essential item to have in a dorm room is! 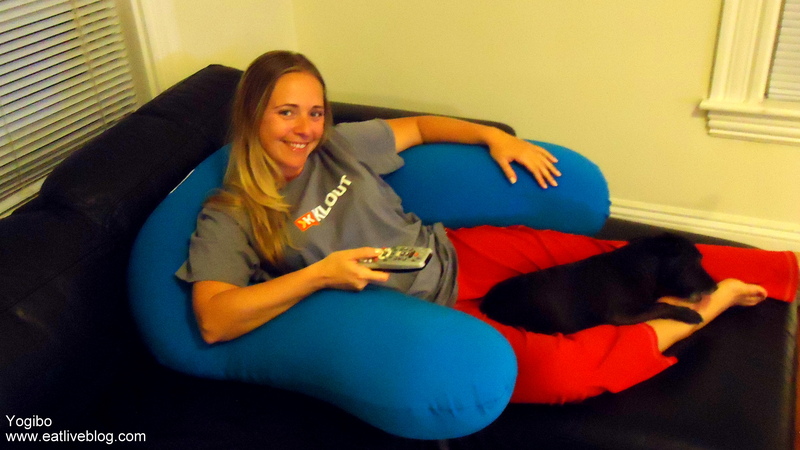 For an additional entry, Follow @YogiboBags on Twitter and tweet “The only piece of furniture I need for Back to School or Boston apart living, thanks to @yogibobags & @renh77 http://wp.me/pVsto-wi” Leave a comment here saying you did so. Entries must be received by Sunday, September 18, 2011 at 11pm. Winner will be notified on Monday, September 19, 2011 and will have 48 hours to respond. If no response is received, a new winner will be chosen. This entry was posted in Reviews and tagged back to school, college, desk, essential, pillow, yogibo by reneeh. Bookmark the permalink. Espresso/coffee maker. Anything with caffeine. Also, see my list of things most important in life, not just a dorm room. 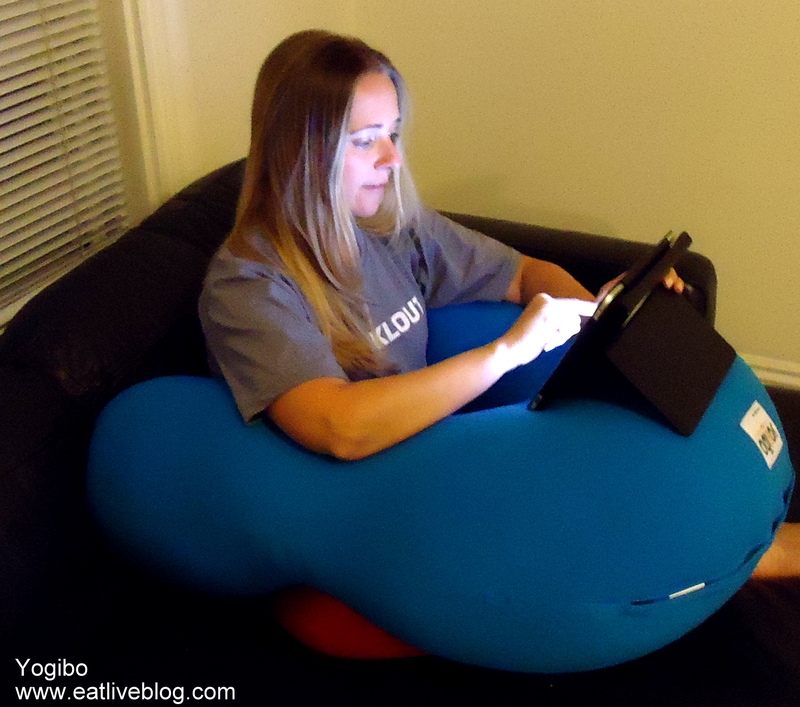 Wow, this looks so cool, and it sure does seem to be super comfortable! I posted a tweet! Let’s see, most essential thing for a dorm room would fall into two categories, the sentimental and the practical! Sentimentally I would say photos are the most essentially thing because it brings home to your dorm! On the practical side, you HAVE to have a shower caddy! How else will you schlep your stuff to the communal showers and bathrooms without someone stealing it! And one with plenty of holes, so it drains well haha! A dorm rooms. Gawd, I feel so old and far removed from that. I feel like I had SO many essentials. The microfridge was great for late night snacks and keeping mini-meals on hand, but I also really loved my rack raisers. It brought so much more organization & space to the room though I am still amazed I never fell off my bed. A secret stash of good toilet paper. Absolutely essential. Bed risers are also helpful for extra storage space. Someone mentioned a hot pot- but I would say a hot water kettle. Make instant coffee, tea, and boil pasta!! The most important things to me in the dorm room were: 1) the phone 2) my tv 3) my mini fridge & 4) my favorite pillow & blanket! I wouldn’t have survived without them! Most essential to my dorm was definitely anything that reminded me of home. Then coffee pot would be top priority for me. I love (cannot live without) coffee in the morning and tea at night. I think Yogibo Bags are awesome!!!! As far as dorm life I was not lucky enough to enjoy, but when my daughter goes in another 7 years I think a big essential would be a Gearge forman grill for those anytime cooking that grlll cheese sandwich. And a bag of choclate for the days that you need a little comfort!!! I would think the most important thing in a dorm room is your comfort item from home like an old stuffed animal, blanket or special pillow for those times when you need a little comfort. And then definately a coffee maker. That would be a must. I love the YOGIBO!! sooo Cool! I would say an essential item for your dorm would be the one and only Gearge Forman grill for those anytime grll cheese sandwiches! And a bag of choclate for those comfort days away from home! I always had a desk drawer dedicated to just chocolate. that was probably the most crucial thing i had in my dorm. also a good bookcase. Great giveaway! I would have to say pictures of friends and family, especially if you’re far away from home.